Kevin Koy, executive director of the Geospatial Innovation Facility, has over fourteen years of experience working with geospatial technology. Koy leads research projects and applications, develops and teaches technical workshops, provides organizational support to the facility, and promotes geospatial solutions throughout the Bay Area community. 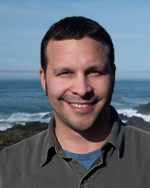 Prior to joining the GIF, Koy was the remote sensing and GIS specialist for the American Museum of Natural History’s Center for Biodiversity and Conservation. His experience at AMNH included mapping land cover change and developing capacity building initiatives in Vietnam and Lao PDR. Koy’s experience in geospatial technology began as a remote sensing and GIS analyst for the Smithsonian Institution’s Conservation Biology Institute where he mapped Eld’s deer habitat in Myanmar’s dry dipterocarp forests.